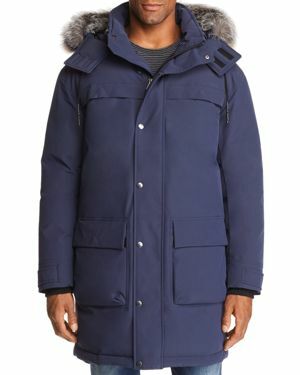 Burkman Bros. - Burkman Bros Hooded Down Parka in Indigo Blue *Shell: 97% Cotton 3% Spandex*Lining: 100% Polyester*Fill: 80% Down 20% Feather*Rib: 100% AcrylicActual lining color is red as shown on mannequin. 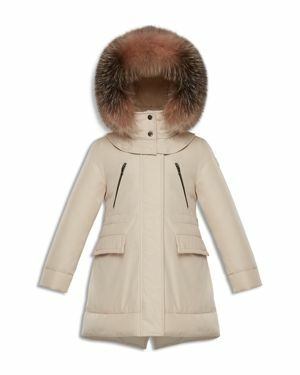 Item in fashion shot was pre-production sample. 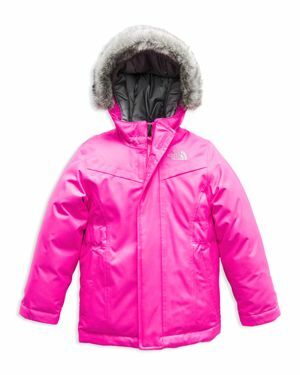 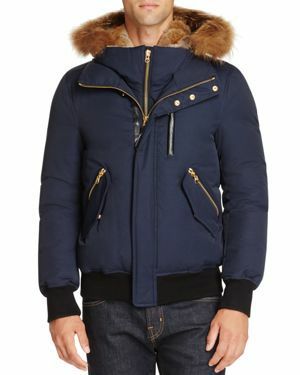 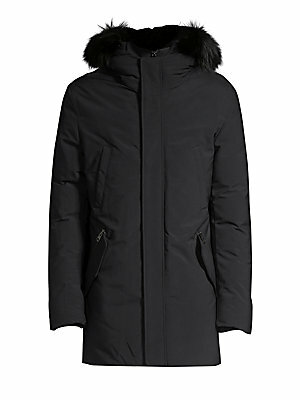 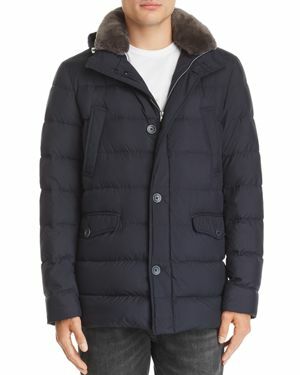 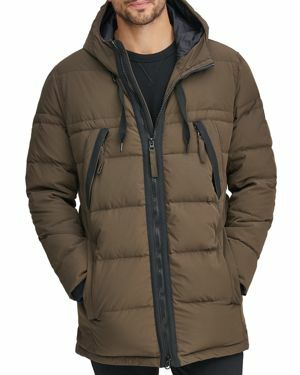 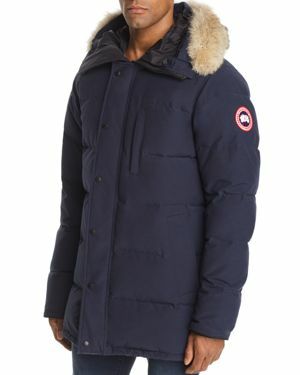 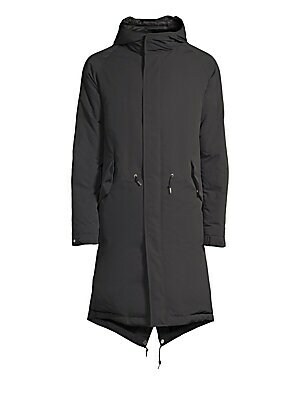 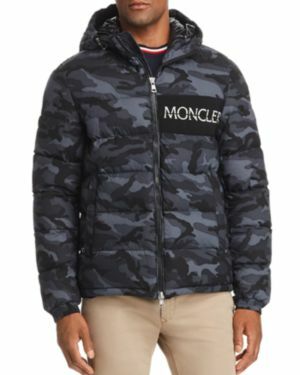 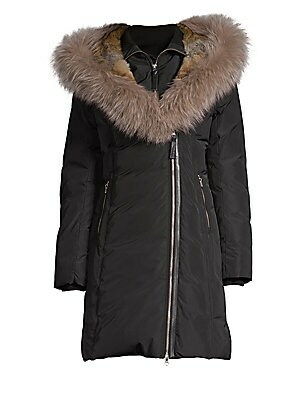 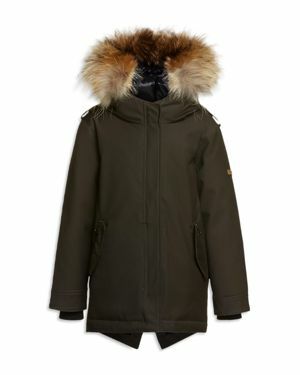 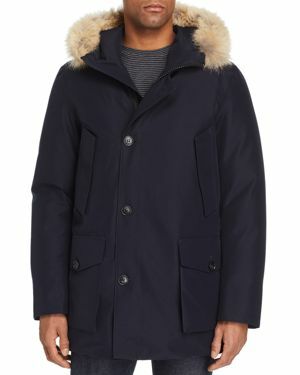 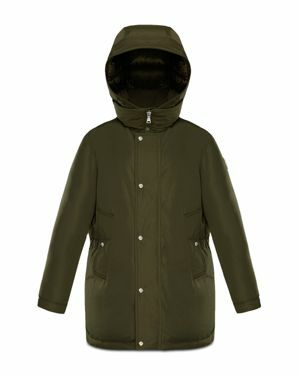 MACKAGE - Dixon Fur Trim Down Parka Bundle up in style with this Mackage fur-trimmed down parka. 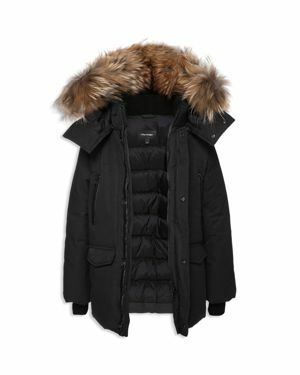 Wear it with or without the hood for increased versatility.